GIVEAWAY EXTENDED UNTIL THE 27TH OF NOVEMBER 2015! We’ve been racing to keep up with the demands of Pedal Finder over the last few weeks and putting everything back together after our last giveaway for the Outlaw Effects Boilermaker Boost. But, with everything we have going on, we wanted to just jump right back in and get another giveaway going. This time we have a real treat because we are giving away a Limited Edition Gold Harmonic Decoder from Sunsine Audio. Typically, I’d write a bunch about a pedal and the company behind it, as way of introduction, but because the Harmonic Decoder is so unique, I think it’s best to have you spend a few minutes viewing this introduction from Fletcher (the guy behind Sunsine Audio). Check this out! A phase-locked loop (PLL) is an electronic circuit with a voltage – or current – driven oscillator that is constantly adjusted to match in phase (and thus lock on) the frequency of an input signal. In addition to stabilizing a particular communications channel, a PLL can be used to generate a signal, modulate or demodulate a signal, reconstitute a signal, or multiple or divide a frequency. PLL circuits are commonly found in touch tone phones, dial up modems, radio control systems, Laser Tag games and infrared remote controls. He created a pedal based on some of the same technology used in Laser Tag. More of that please! Over the course of the giveaway, we will be learning a great deal more about Sunsine Audio, including an interview with Fletcher – the owner/designer/builders behind this Williamsport, Pennsylvania effects creator. So keep an eye on the Pedal Finder FB and Instagram accounts for updates and new information. And don’t forget to check out Sunsine Audio’s Website (if you can’t wait to win a Harmonic Decoder – you can purchase one there!) or keep up with him on Facebook or Instagram. This time around we are looking for fresh pedal reviews. Existing members of Pedal Finder know the drill. Every effects pedal review you submit will get you one entry to win the Sunsine Audio Limited Edition Gold Harmonic Decoder. 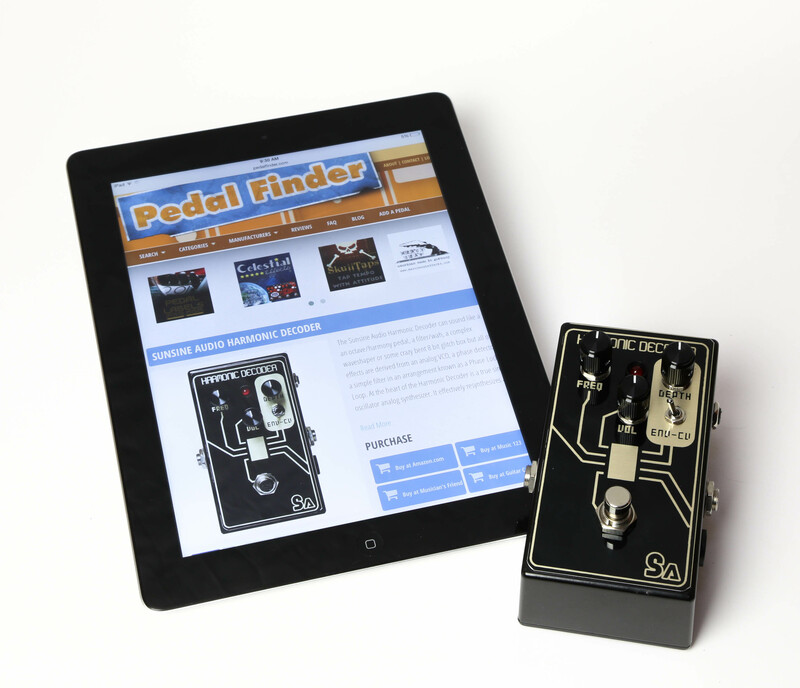 Just think of the pedals you have played, visit the pedals detail page at Pedal Finder and leave a review. It’s that easy! If you need a refresher on how to leave a review so it counts for an entry into the giveaway, check out our How To Leave A Pedal Review primer. If you don’t need the primer then click here to start leaving reviews! On November 25th at 2pm MST we will pick a random entry. We will email the random entry to confirm. The random entry will have 24 hours to respond. If the 24 hours passes and we don’t hear back, we repeat the process until we confirm a winner. And remember, this contest is open to everyone – even our visitors outside the United States. Again, you can submit reviews and gain entries into the contest until November 25th (Wednesday) 2PM MST. As a bonus for this giveaway, if you sign up for the Pedal Finder Newsletter Rattlesnake Cable Company will build you a 15′ Standard Cable with Straight Amphenol Plugs wrapped in a heat and abrasion resistant outer weaving. You get to pick the color of the weaving: red, black, sage, dirty tweed, blue or mean green. 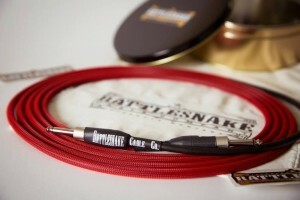 This is a custom guitar cable built specifically for the winner. Not only are these well crafted cables, but they are also gorgeous. I dig the wah tonality it has to it. I want to go to there. I need a music decoder! I love the Klon KTR pedal. Most excellent as a clean booster & as Great overdrive.